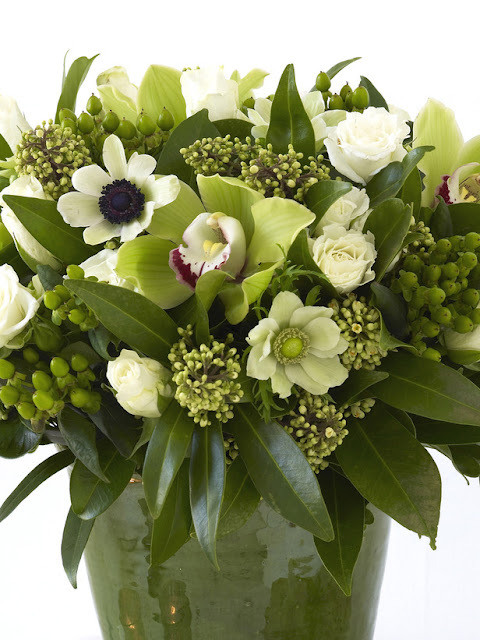 Exotic cymbidium orchids warm up cool winter berries and skimmia in this crisp white and green floral arrangement, which looks stunning in a hallway, master bedroom, dining room table or low coffee table. Bringing with it a bit of color and warmth into your Winter home. 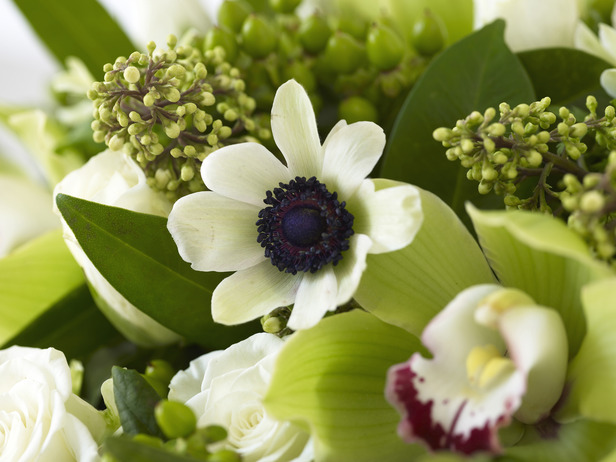 Soft-stemmed anemones, white spray roses and cymbidium orchids soften the texture of this mixed winter arrangement. Cymbidium orchids grow on a very long stem, you will get the best use out of them by inserting individual heads into orchid vials. It will give them stability and height for the design. 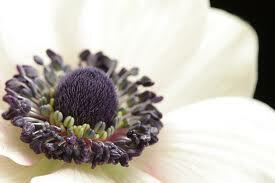 The anemones may need replacing after a few days, but the other blooms should last up to 10 days if you keep them in fresh water. 1. Place the chicken wire inside the vase and fill the vase with water. 2. Arrange the skimmia stems first. Keep turning the vase around as you add the foliage to create a fully three-dimensional domed effect. Do not add too much foliage at this stage. 3. Add the single roses next, placing the shorter stems around the edge of the arrangement and longer ones near the center to reinforce the domed effect. The flowers should look ordered, not muddled. Keep turning the vase so it faces you as you add the roses. 4. 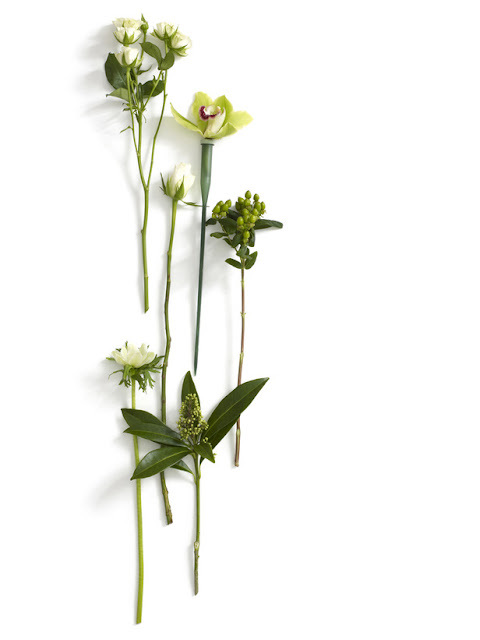 Arrange the hypericum berry stems and spray roses next, spacing them evenly throughout the arrangement. Push the flowers in slightly so that the tips of the skimmia leaves break up the curved contours of the blooms. Then add the anemones. 5. Finally, add the cymbidium orchids. They are quite dominant in this design, so it's worth arranging them last once you know where they will sit and look best. These white anemones, with their frosty petals and cool purple centers, are perfect as a focal point against the lime-green berries, orchids and green foliage of this beautiful winter display. far as to put an ice cube or two in the vase! I had never heard that before she told me, and it has worked so well.